Looking for the perfect food container when you're on the go? 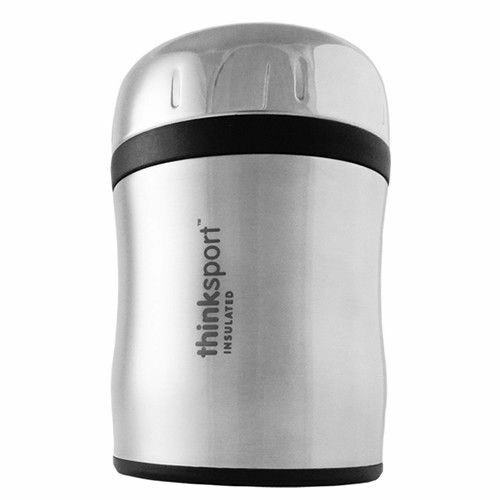 The ThinkSport Insulated Go4th Container is an ideal choice! This stainless steel, insulated container keeps food hot for 4 hours or cold for up to 8 hours! The dual, screw on lid maintains food temperature and prevents leakage for worry-free travel! Comes with a built-in, foldable spork!